Comments: EXCELLENT! Exactly what I was looking for. 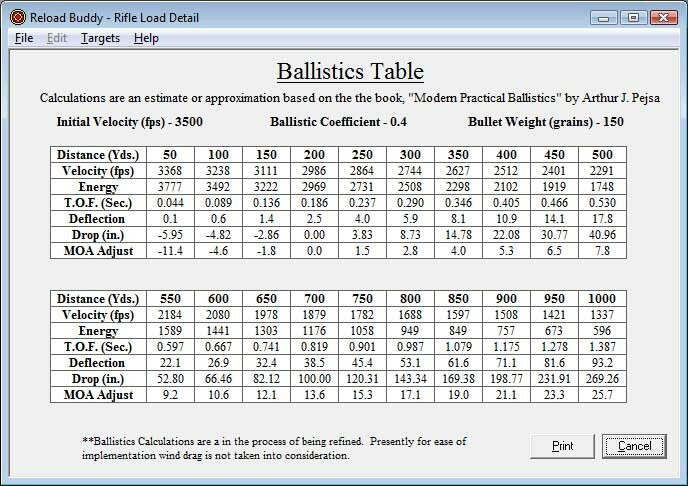 Comments: I've been looking for something like this for a while to get all the clutter off my reloading table. Comments: As advertiesed and excellent after the sale support. Merry Christmas! Comments: Seems to be a good data base software. 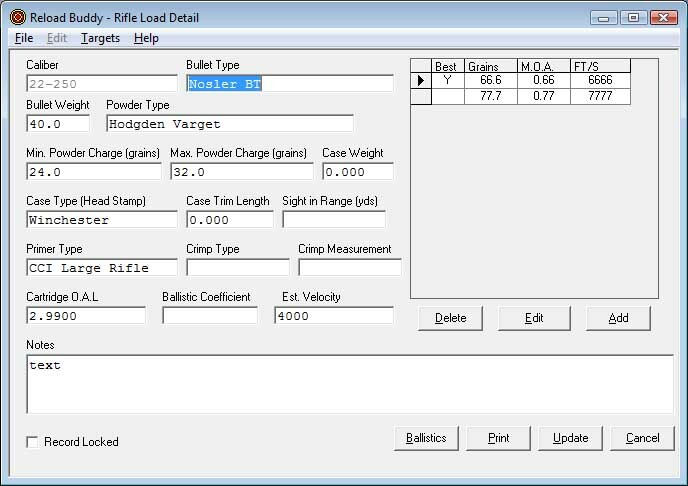 Reload Buddy provides a place to keep track of your valuable firearm collection. 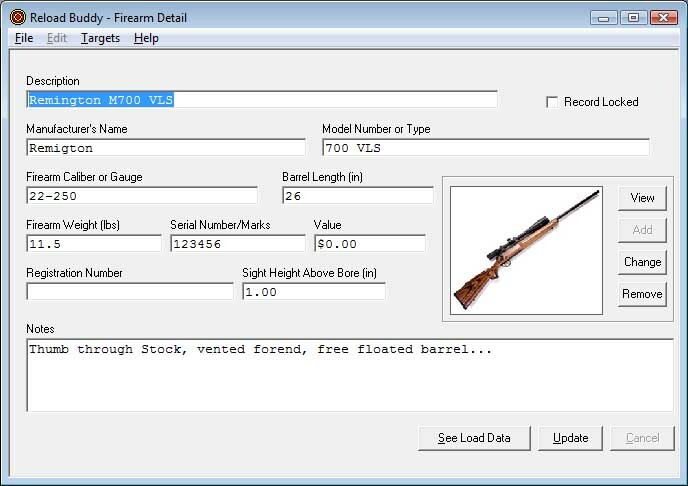 You can add your entire collection, and for each firearm record you can add dozens of data elements like serial numbers, make, model, value, registration number, etc... You can also attach a photo of each Firearm! An invaluable tool should something unfortunate happen to your cherished firearm collection, and you need to file a claim with your insurance! If you're having any issues with installation be sure to check out our Installation Tips page. Technical support is offered via email 7 days per week. Typical response time is less than 24 hours!